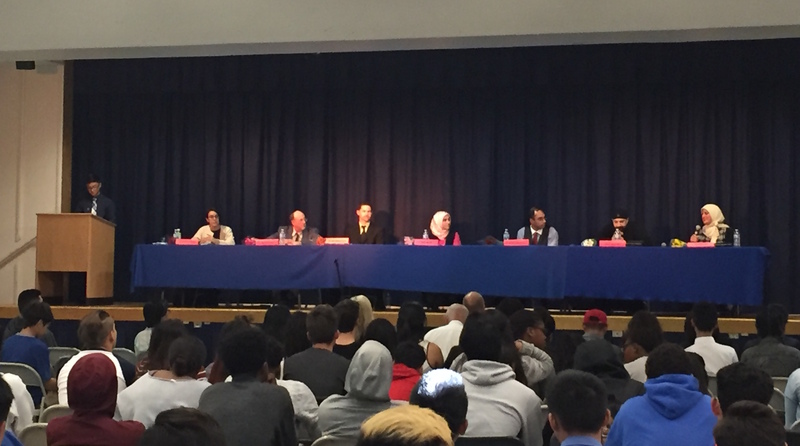 On March 23, 2016 Gahr High School in Cerritos, CA hosted an interfaith panel organized by the school’s Philosophy Club under the guidance of Mrs. Lori Rodig. 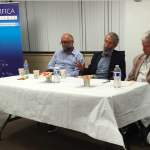 Seven leaders of different religions and faith communities participated in the panel where they shared their insights on their respective beliefs and answered the questions directed to them by the audience. 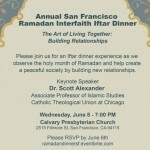 One of the speakers, Mirkena Ozer who is a volunteer public speaker for Pacifica Institute, represented the institute as a Muslim speaker of the panel. The event opened with the welcoming speech by Astha Guragain, the president of the Philosophy Club in which she thanked everyone for attending their presence, recognizing some of the special guests in audience such as Dr. Mary Sieu, ABC Superintendent, Dr. Victor Manalo, GAHR Principal and Dr. Gina Zietlow, Assistant Principal. Philosophy Club member, Zach Franco in his opening speech highlighted the need for dialogue among different faith communities as a prerequisite for peaceful coexistence by invoking Dr. Martin Luther King’s quote: “We must learn to live together as brothers, or we are going to perish together as fools”. Later the panelists took turn in sharing their sentiments and thoughts on their respective faiths. 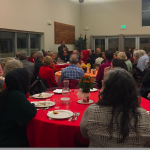 Pacifica volunteer Mirkena Ozer spoke on the importance of mercy as an essential sustaining and unifying element of existence. Mrs. Ozer espoused that Islam not only gave answers to life’s existential questions thus providing meaning to this worldly existence but it also provided guidelines for the preservation of life and interactions between all human beings. She quoted a verse from the Quran to support her argument. 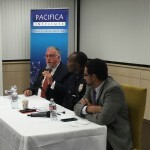 Other panelists also stressed the need for compassion and understanding in today’s world. Gahr students had time to ask questions to the panelist after the presentations. The event proceeded in an atmosphere of friendship and respect. The philosophy club presented each panelist with a bouquet of tulips and a thank you card signed by all its members. Participants expressed their gratitude to Gahr philosophy club for organizing such an important event and voiced their desire to see more such events in the future.